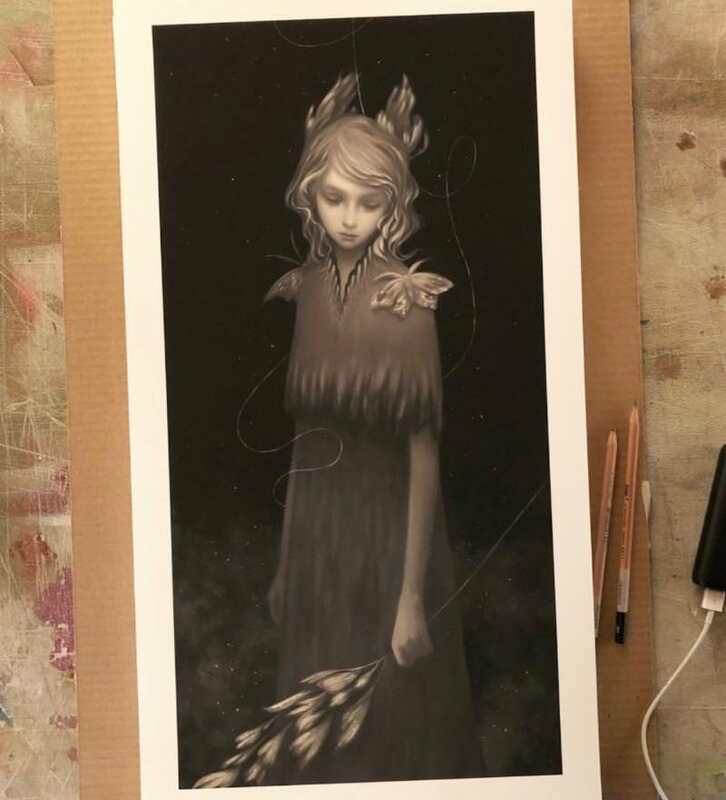 Later this week Thinkspace will release “Night Song,” a gorgeous new art print from Amy Sol. It’s a 12″ x 22″ hand embellished giclee, has an edition of 50, and will cost $150. These go on sale Friday, March 9th at 10AM PST. Visit ThinkspaceProjects.com.